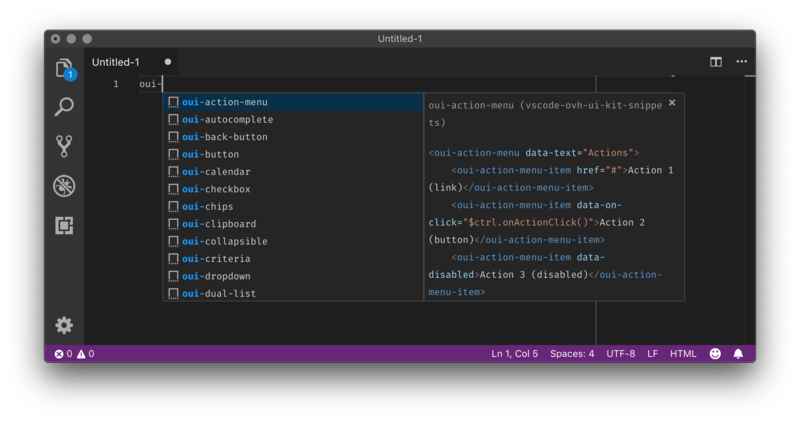 Visual Studio Code>Snippets>vscode-ovh-ui-kit-snippetsNew to Visual Studio Code? Get it now. Collection of OVH UI Kit snippets for Visual Studio Code.